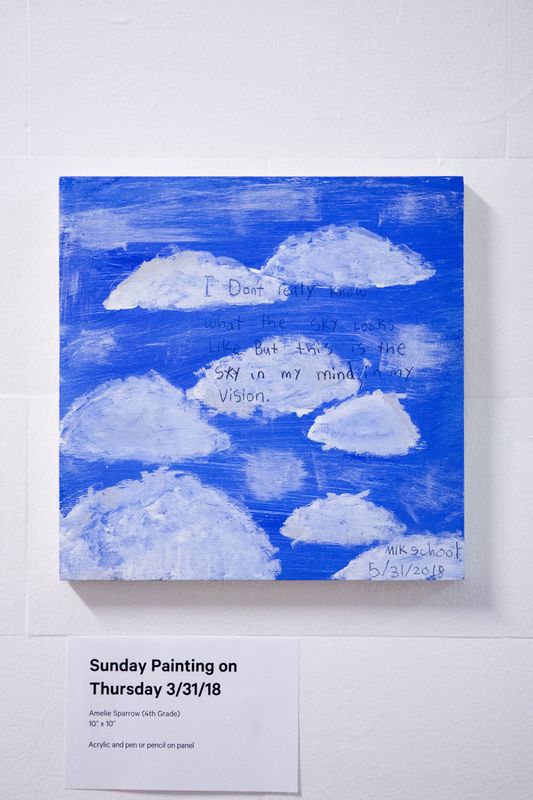 Byron Kim makes a small painting of the sky every Sunday. 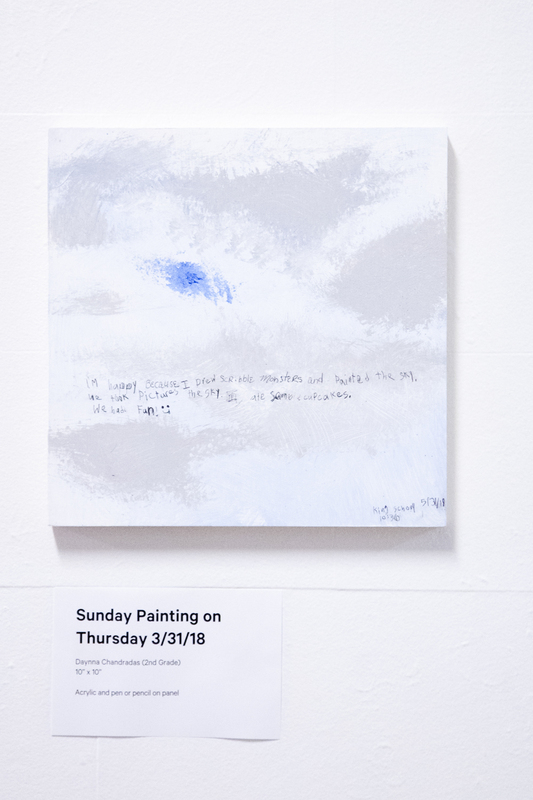 On the surface of these paintings, he writes a journal entry, just a few thoughts, a description of the weather or just something about his life or his family and friends. He has been doing this since January 9, 2001, so there are over 800 of these paintings, but this exhibition at KSMoCA includes just the recent ones as well as paintings produced in collaboration with two students from each grade at MLK Jr. School. Byron Kim is perhaps best known for his painting Synecdoche, which was included in the 1993 Whitney Biennial. Composed of a grid of hundreds of panels depicting different skin tones, the work is both an abstract monochrome and a group portrait. 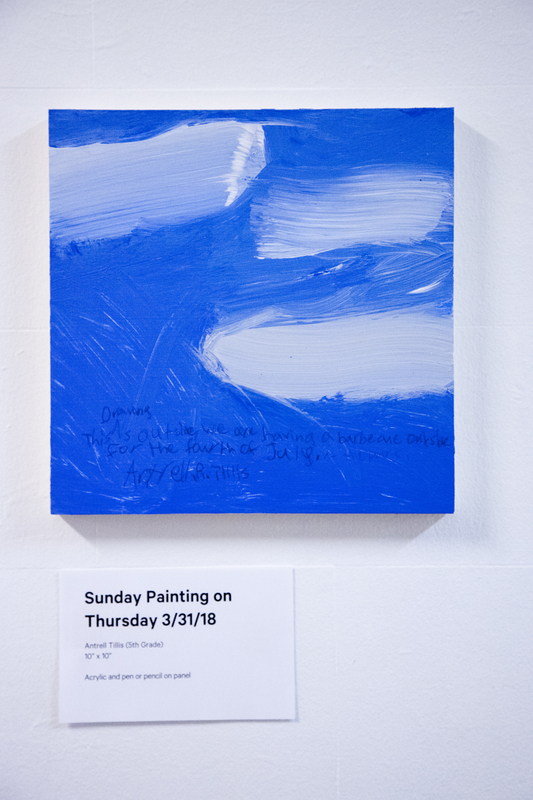 His ongoing series of Sunday paintings, in which he records the appearance of the sky every week, combines the cosmological and the quotidian. 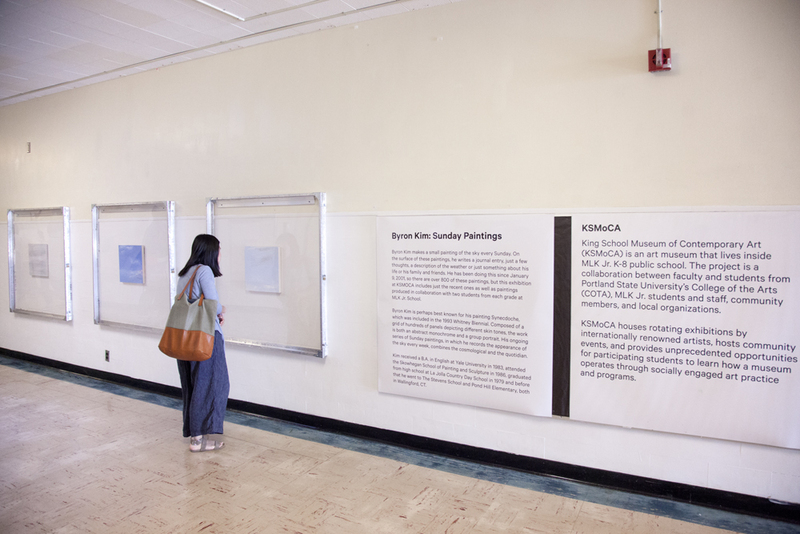 For this exhibition, Kim lead a sky painting workshop that included two students from each grade (K-8th) at MLK Jr. School. Kim received a B.A. in English at Yale University in 1983, attended the Skowhegan School of Painting and Sculpture in 1986, graduated from high school at La Jolla Country Day School in 1979 and before that he went to The Stevens School and Pond Hill Elementary, both in Wallingford, CT.